You are currently browsing the daily archive for May 13, 2018. Let’s start with two photos thanks to Ashley Hutto, first one from last year. 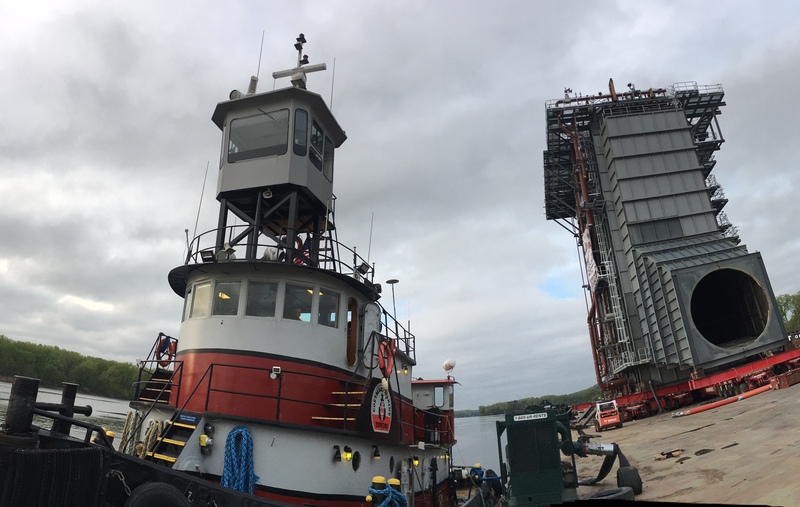 Remember the HRSG aka “the cyclops” that came down the Hudson? Tomorrow, another is scheduled to start a journey, then heads for Bridgeport. Mister Jim above and below as platform, as well as Daisy Mae in the distance, will be involved in the transfer. 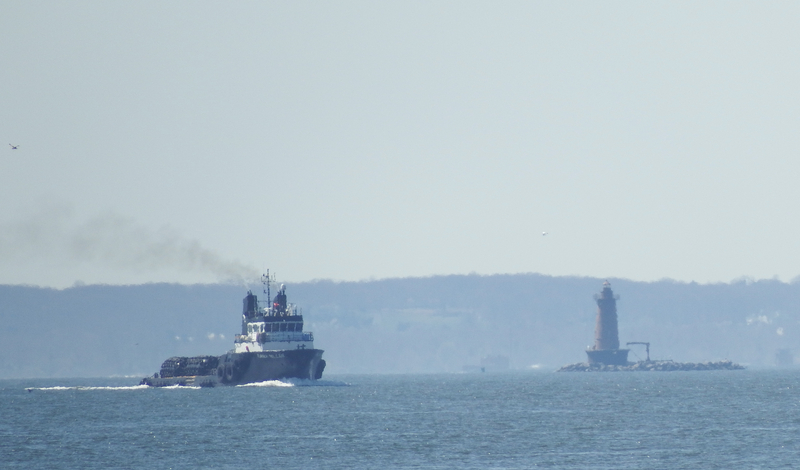 By Tuesday late afternoon, the HRSC is scheduled to be at the GW Bridge, and will overnight near the Statue of Liberty before entering the East River and into the Sound. I’ll miss most of it, since I’ll be in Albany all next week. No . . . I’m not entering politics. 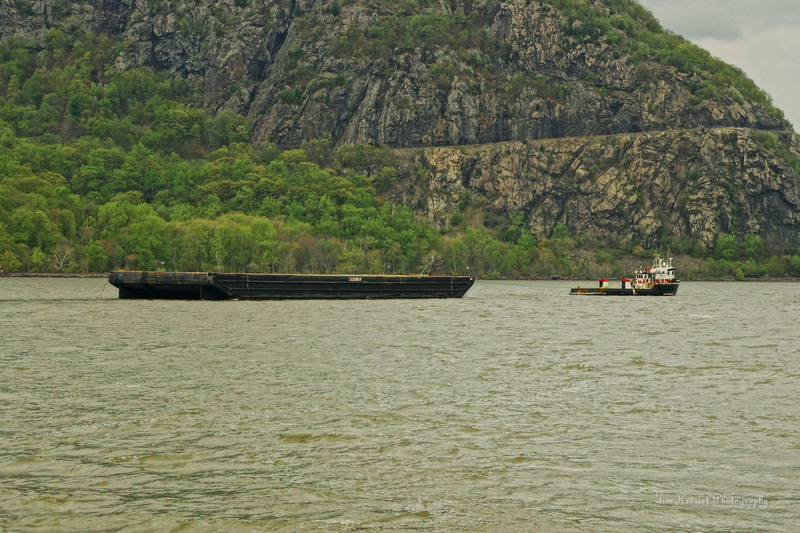 Another unusual visitor was captured here by Tim Hetrick; Megan Beyel passes Storm King here, towing a barge upriver. The photo effectively shows the scale of Storm King. OSVs like Megan Beyel are quite rare in the Hudson Valley, but they do appear. Four years ago Michael Lawrence spent some time in and out of the sixth boro working on a pipeline project. Of course, there is a sixth boro quasi-resident OSV . . . Rana Miller. 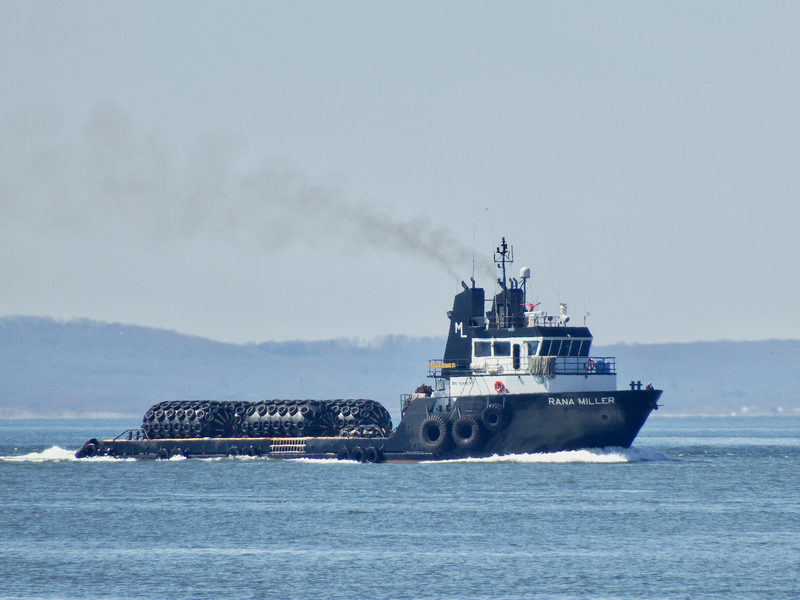 Rana‘s frequent mission is transporting Yokohamas, used to fender tankers transferring product offshore. 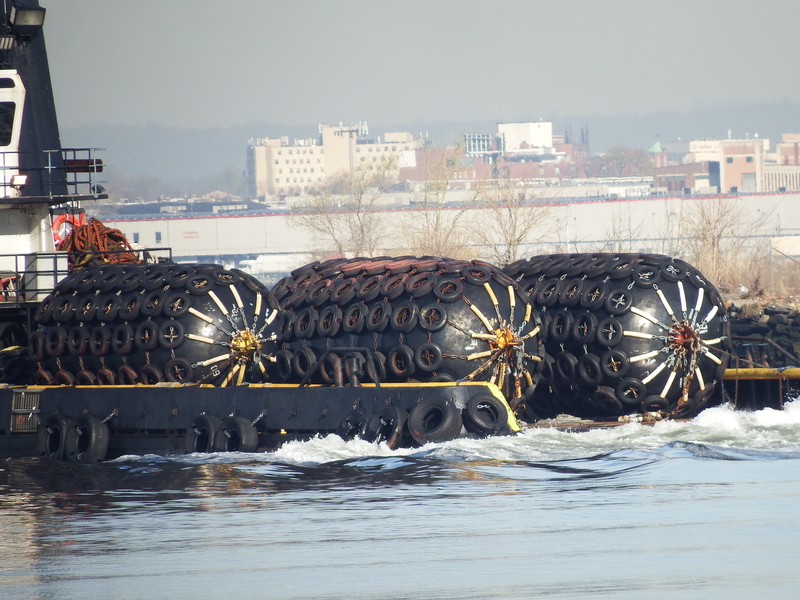 And from rubber to rubber, here’s a small USN tug moving rendering barrier around. 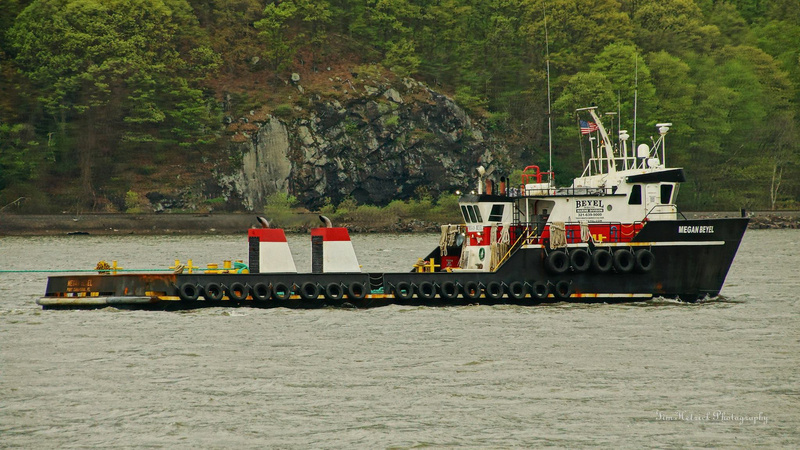 This photo comes from George Schneider, who writes, “Your photo (scroll) represents the smallest of them, the 19-footers, [like this one] one towing fender-style booms (barriers? 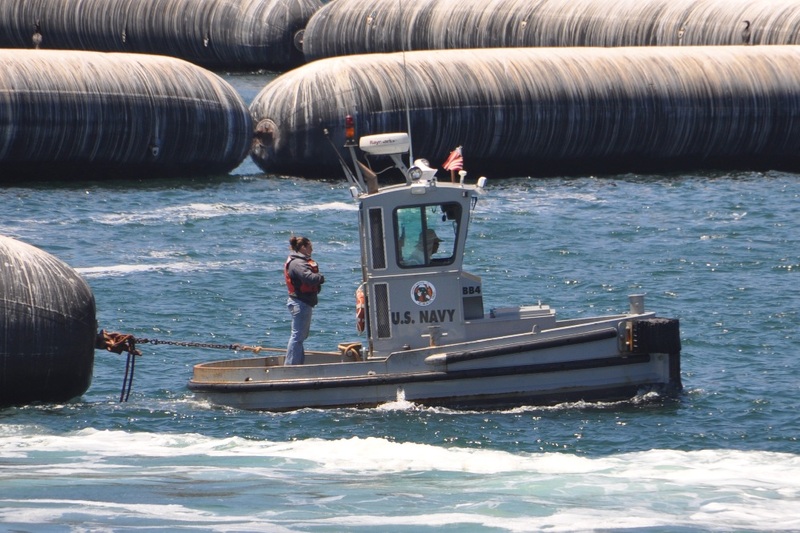 ), but they also work as gate boats for the anti-swimmer booms (barriers?) mentioned. As you can see this one is officially designated 19BB0212, but has the local designation BB4. They adopt some of the jargon from their origins as log broncs (and scroll to Skillful) and call them “Beaver Boats” to differentiate them from the other boats designed to transport or place the light oil pollution booms. 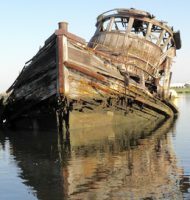 This one was built by Chuck’s Boat and Drive Company (“C-Bad”) of Longview, WA, who also built 25-foot version for the Navy. I imagine you’d find them at just about any station where the Navy ties up their ships. 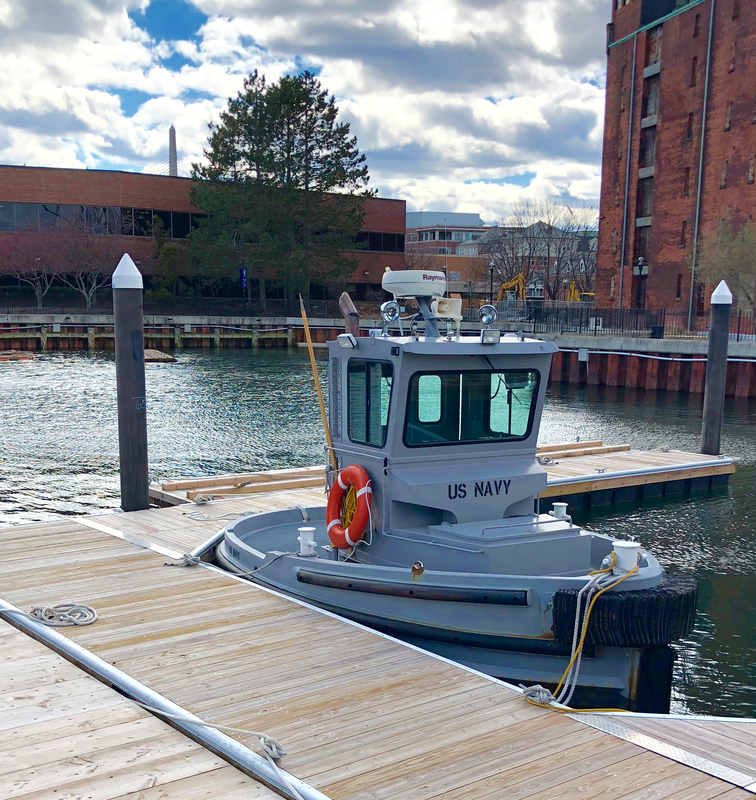 At least 12 of the 19-footers and at least 22 of the 25-footers have been built for the Navy, as well as other designs that begin to look more like conventional pushboats as they grow in size. ” Thanks much, George. 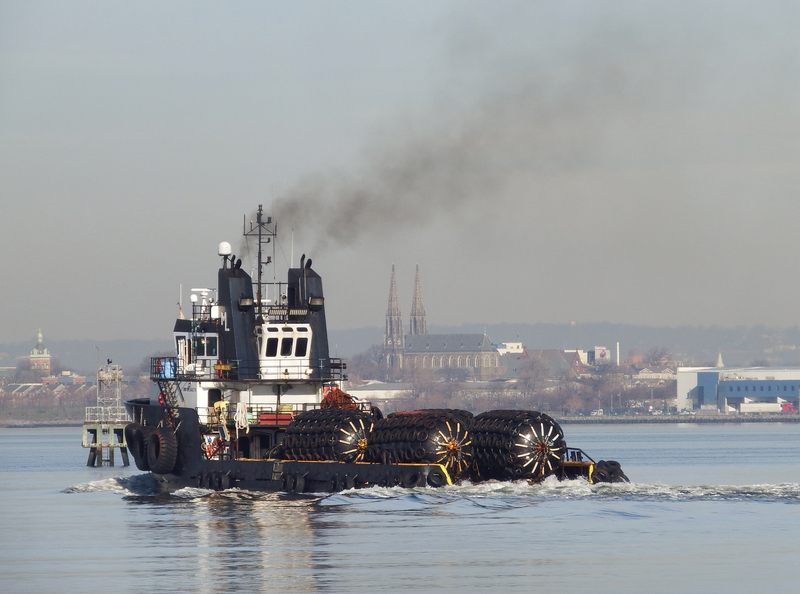 Finally, thanks to Steve Munoz, another one of these small tugs, this one spotted near the USS Constitution in Charlestown MA. Many thanks to Ashley, Tim, George, and Steve for the photos and info. The photos of Rana Miller by Will Van Dorp.